letters, one can trace the development of a genius who, through fierce determination in the face of great odds, fashioned himself into an incomparable artist. In his tragically brief career, cut short at age 25 by tuberculosis, Keats constantly experimented, often with dazzling success, and always with steady progress over previous efforts. The unfinished Hyperion is the only English poem after Paradise Lost that is worthy to be called an epic, and it is breathtakingly superior to his early Endymion (1818), written just a few years before. Isabella is a fine narrative poem, but The Eve of St. Agnes (1819), written soon after, is peerless. In Lamia (1819) Keats revived the couplet form, long thought to be dead, in a gorgeous, romantic story. Above all it was in his development of the ode that Keats's supreme achievement lies. In just a few months, he wrote the odes "On a Grecian Urn" (1819), "To a Nightingale" (1819), "To Melancholy" (1819), and the marvelously serene "To Autumn" (1819). Keats is the only romantic poet whose reputation has steadily grown through all changes in critical fashion. 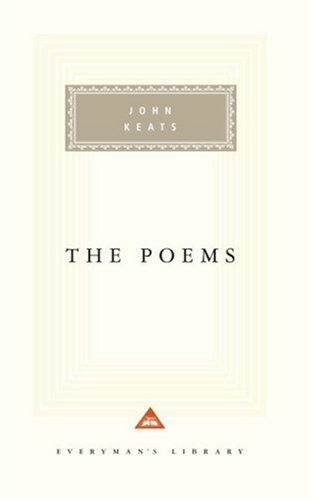 Once patronized as a poet of beautiful images but no intellectual content, Keats is now appreciated for his powerful mind, profound grasp of poetic principles, and ceaseless quest for new forms and techniques. For many readers, old and young, Keats is a heroic figure. John Keats died in Rome on February 23, 1821 and was buried in the Protestant Cemetery, Rome. His last request was to be placed under a tombstone bearing no name or date, only the words, "Here lies One whose Name was writ in Water."